On the 11th of February 2018, UMACO AUSTRALIA Gold Corporation (a private commercial company, Private Market Cap: US $2.4B) ('UmacoGold') announced it had entered into a binding Joint Venture with an Israeli/Portuguese Consortium on signing of a multi-billion-dollar Joint Venture Agreement. The JV namely, UCOVALE Holdings Pty Ltd (ACN: 623 890 291) will utilise UMACO's revolutionary proprietary knowledge and technologies, resulting in faster mineral recovery, dramatically decreasing All-in-Sustaining-Costs(AISC) for greater income generation, while minimising environmental damage. Operations will commence in the Charters Towers Region and extend to Central and Northern Queensland and PNG. Please read this media release. 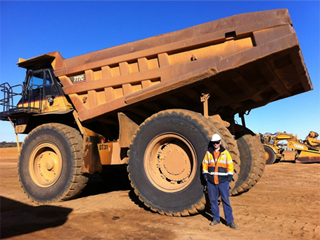 UMACO Australia Pty Limited, is an Australia-based, mineral exploration and mining company, whose primary focus is on projects for the recovery of Gold, industrial minerals, precious metals and rare earths. The Company is an emerging Australian Gold producer with a major mining vision. Founded in 2003, the Company currently has four Gold mining projects in Queensland acknowledged by the Department of Mines with completed feasibility studies ascribed for development investment readiness. The Company currently retains commercial development rights over 6,000 square kilometres of mining tenure, and has over 3,000 square kilometres under Exploration Permits and Mining Leases for Minerals. UMACO specialises in locating and mining large ancient buried Paleo alluvial Gold sub-terranes and it also specialises in narrow vein high grade hard rock Gold deposits, using the latest ore extraction techniques. The Company is led by an experienced, seasoned management team that includes mining, geology, legal, and financial professionals. Umaco is a leader in narrow vein mining and environmentally friendly recovery technologies. The UMACO Board of Directors is committed to delivering maximum value for its shareholders, stakeholders and employees.